Nothing says Fall quite like apple picking – the fresh air, the smell of the orchard, sampling endless varieties of apples and apple pie – what’s not to love? 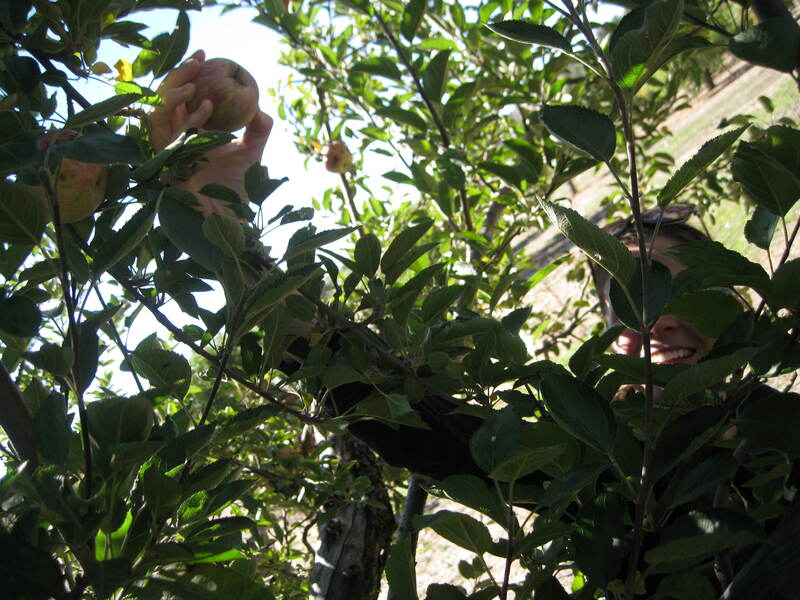 So we have made it a bit of a tradition in our house to haul out to Julian for an annual apple picking day. 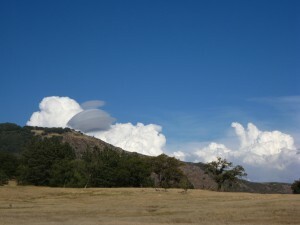 Julian is an old gold mining town in the Cuyamaca Mountains, roughly an 1 1/2 hours drive from San Diego. The town itself is so cute – old historic buildings serving up fresh apple pie (apples straight from the orchards), a diner with a soda bar, antique shops and horse-drawn carriages. Between the town and the orchards, you’ve got yourself a pretty nice day lined up. 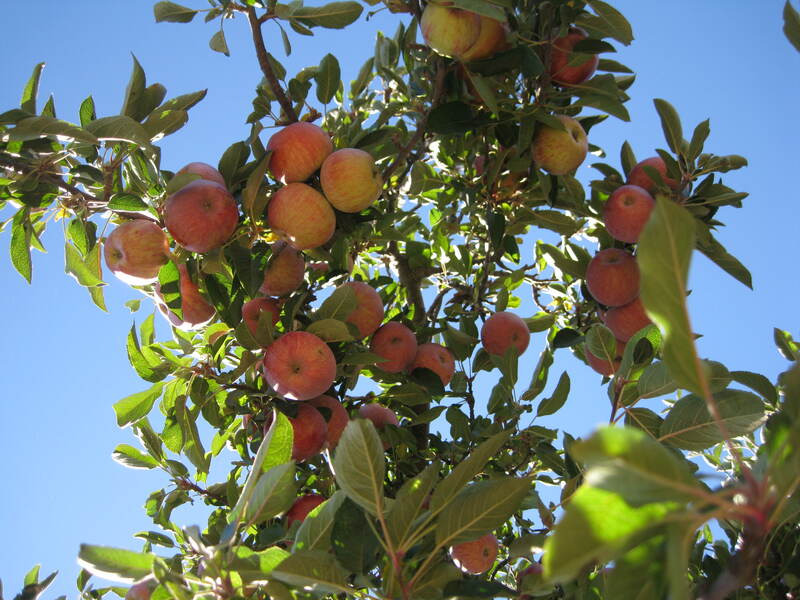 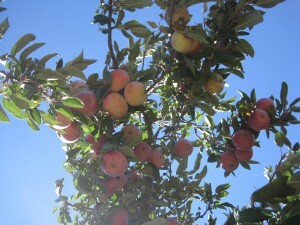 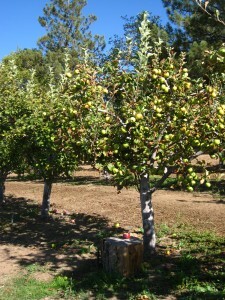 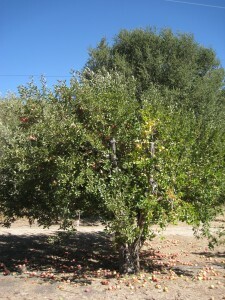 Julian offers plenty of orchards to choose from. 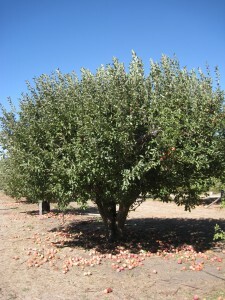 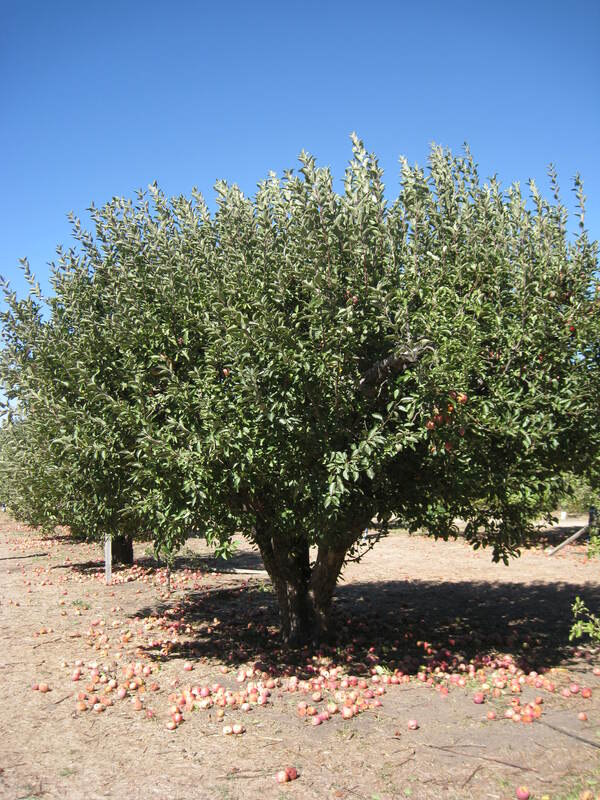 We typically call ahead to see which orchard has the greatest variety of apples, and sometimes pears too. I have to say, there is nothing quite like the taste of an apple straight from the tree. 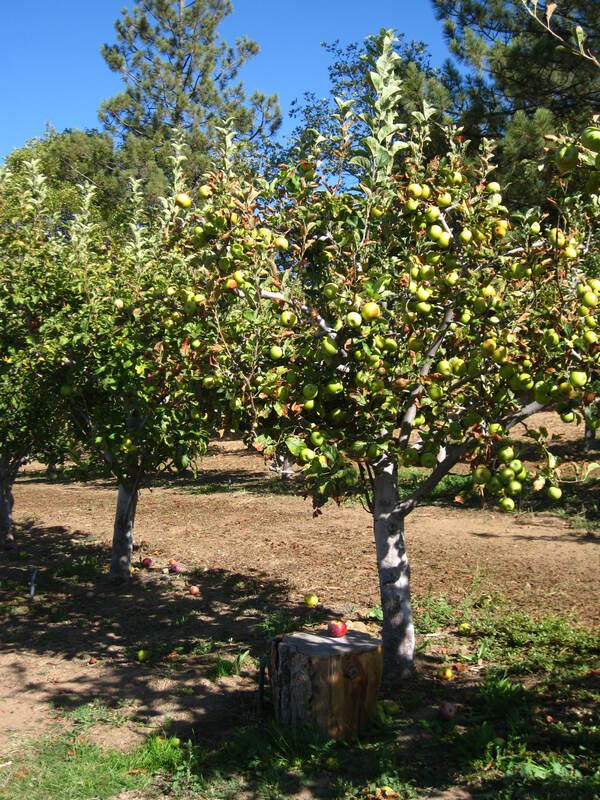 The flavor of the apples that we bring back from Julian are like no other – intensely sweet, tangy, crisp, and juicy – each apple has it’s own personality. 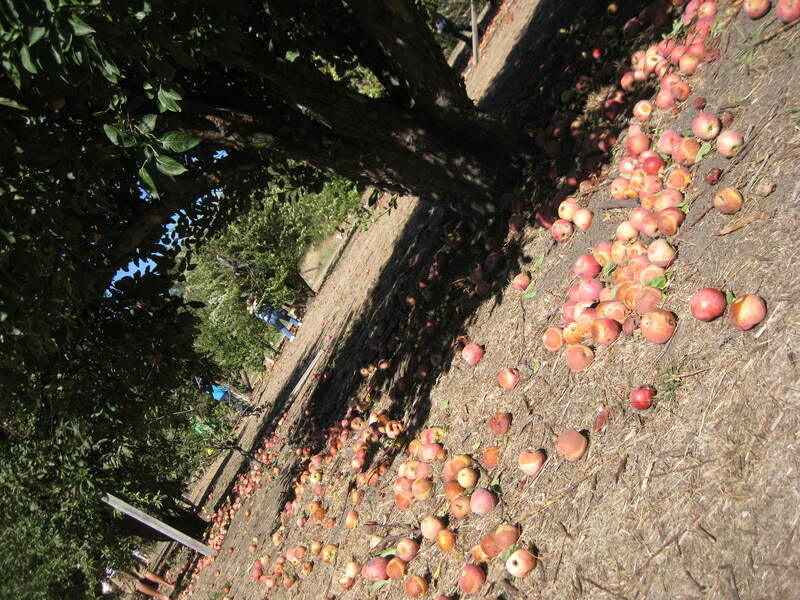 After roaming around various orchards for the better part of the day, and realizing that we have several huge sacks of apples filling up the back seat of our car, it’s time for pie! 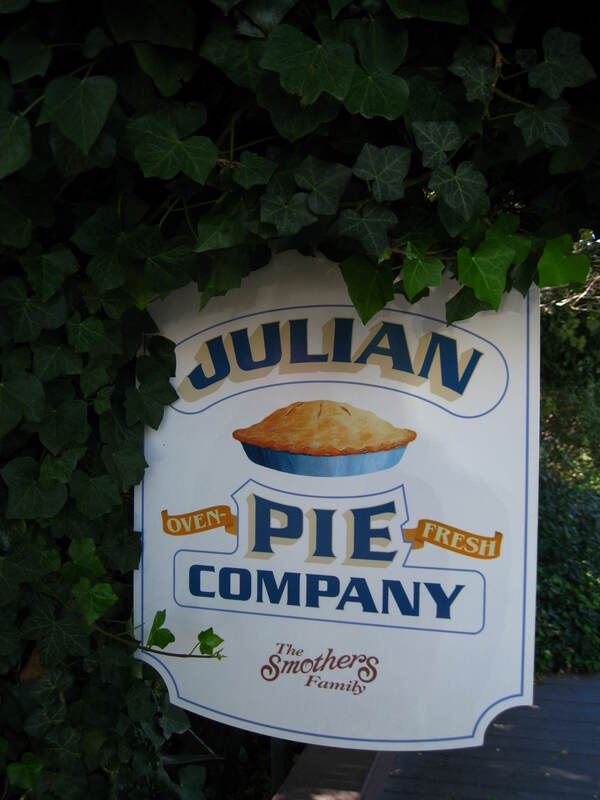 Why have lunch when you can go straight to pie? There are so many great places to eat pie in Julian, so we like to get a slice from several different shops and share them. Each shop does their apple pie a little different, and so it’s fun to taste them all. 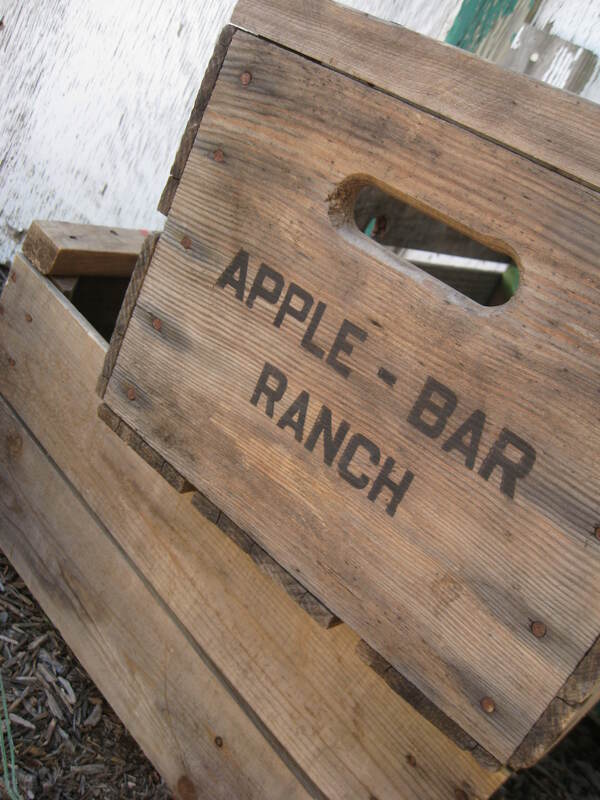 You’d think we’d be apple-d out by now…but no way! 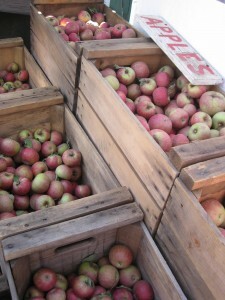 One last stop in Julian, and that’s to grab a jug of Apple Cider, and then we are homeward bound, apples in tow.